Anyone who have tried creating an e-commerce site? Ok, here is the idea. Using Social Engine as an e-commerce solution. I have a client that is Sharp Norway who is interested in me creating a solution for them that syncs with their cashier systems. Social Engine is one of my favorite systems to work with, either it is PHP version or Cloud, but this request of making a e-commerce is not a thing I have done before. But as I see it, it should be plausible to do this with SE PHP and sync it to the cashier system so that the inventory is always correct. Anyone who knows if this is worth looking into? SocialEngineMarket Dear [6223,Arnfinn Ingebrigtsen], the scope is quite unclear. It is needed to add details about it. We have a great solution for e-commerce sites. Please have a look (http://socialenginemarket.com/Plugins/simple-marketplace) if this is what you want. There are 4 additional plugins for marketplace which can help you to extent your site opportunities. Also please contact us if you need any help or further information (office@socialenginemarket.com or http://socialenginemarket.com/contact). Show off your SocialEngine cloud site here, please! My site is Vietnam Aquaculture Network, http://aquanetviet.org/. 2. Setup up separate communities (community1, community2). Each community will operate completely independently - unique members, private invite only membership, and ideally would like have its each sub-domain (say abc.com/community1). 3. Common theme across the communities (look and feel, functionality) except members would ideally view/interact/discuss within their own community only). Basically each community acts its own website (Blog, Forum, RSS feeds, etc). However I would like to operationalize the business model as one overall website if possible. Can I use the network feature in SE PHP to accomplish this? So network acts as the master hierarchy and everything else follows from there. If this is not possible, I guess I would need to run each community as a separate website each with its own SE PHP license / deployment? The latter option will add up significant costs for licensing and hosting and hence wondering if the network feature in SE PHP would be a good fit for this business model. Any guidance/advise on how to proceed would be appreciated. Matt Macias It seems that your best bet is to go with a new license for each community. The networks feature doesn't separate everything completely outside of the main feed, and you wouldn't be able to use a custom domain for each community. You'll have to spend money on each license which could get costly depending on how many communities you plan to create. You could use our free 30 day trial to test out Networks if you want. Best of luck! Is it possible to view content of file post type (.pdf) before downloading? SE cloud now has many features that I want. Thanks SE team for that. Another important feature that I want (as many creators) is to see the content of file post before users downloading it. SE team, you guys have any plan to add this feature in the future? Jung Kim Right now you can enable the "file" type in the admin panel -> posts. Then, people can upload PDF files. Trieu Thanh Tuan @Drew Frey [52,Jung Kim] please consider to add the feature in SE cloud! Kimmie Just wanna chime in and say Congrats and good luck. Please let us, creators know the new features added to the platform! Please let creators know about new features that you added into the platform. It's very important for us to show to our members the new awesome functions of the network. For example, #hashtag feature is very hot recently but I do not it is available in my network! Matt Macias Hello, Trieu. Thanks for your feedback. We typically post feature updates on our blog - http://www.socialengine.com/blog/ I'll let the guys know you're eagerly waiting for updates! 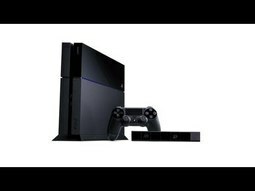 LIKE THIS VIDEO IF YOU'RE PSYCHED FOR THE PS4!!! As a primarily PS3 player I am so ecstatic over this presentation and can not wait for this holiday season! PS4 is making big moves boys! 37:50 - "Killzone: Shadow Fall"
39:20 - "inFamous Second Son"
43:10 - "The Dark Sorcerer"
55:15 - "Final Fantasy Versus XIII", "Final Fantasy XV"
59:30 - "Kingdom Hearts 3"
1:01:40 - "Assasins Creed 4 Black Flag"
1:18:43 - "The Elder Scrolls Online"
The "Todays Posts" notifcations sent to member emails now have pictures. Nice move - looks great!! What's the new (blank) button that's appeared next to the reply button when you go to reply on a post? Anyone know? SE guys? Anyone? Jung Kim Oops! I guess we accidentally leaked something we were working on. It does nothing now since we did not push any other code for it. Can you guys add the custom CSS at the bottom for now? It is not ready yet but coming very soon! Pixythemes.com That button has this class "comments_compose_file", so I suppose it will be used to upload files to your replies, but it does not work for now from what I see. I am just wondering if anyone have succeeded in adding text or anything to the post-modal with jquery or any other way? I want to have allowed html and short tag description before the description in post-modal. Arnfinn Ingebrigtsen Getting very very close now.. In the console of the my web browser, I have success with this code, but not when implementing it..
Any chance of a little info on what your planning for SE Clould as far as plug-ins and features go. Nainou The answer will be very helpful. We need to work close together to give feedback to improve the new upcoming features. Arnfinn Ingebrigtsen Would love to know this my self, as I am going to create a new theme from scratch. Kimmie Great question. Answers would be helpful.